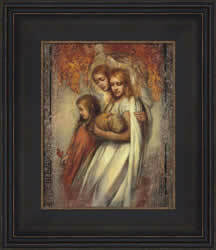 This is a tribute to the angels in our lives who often come in the form of loved ones, mortal and not, who aid us in times of need. 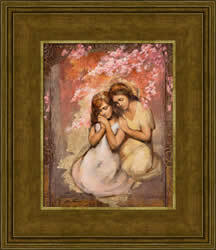 Through them we gain greater strength, faith, and awareness of the reality of the love of God in our lives. 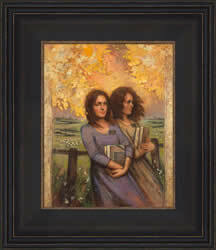 In this painting, three young women look down at an opening blossom, the first budding flower of spring. 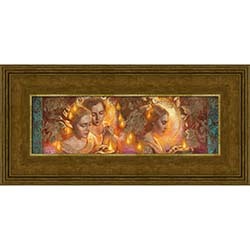 Behind them are gold fallen leaves representing past faded seasons, contrasted with the new life and feel of turning a new page. 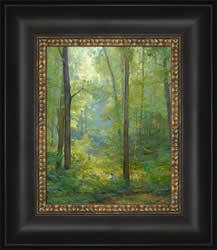 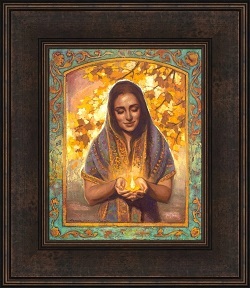 It is a painting of hope, of rebirth, and wonder at the ability to begin anew. 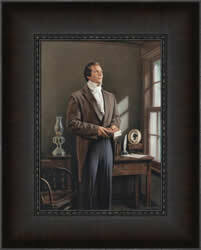 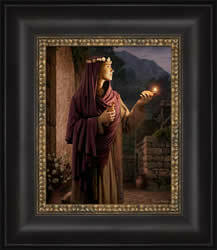 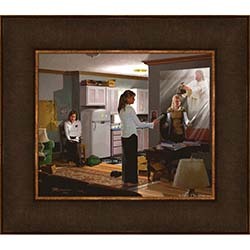 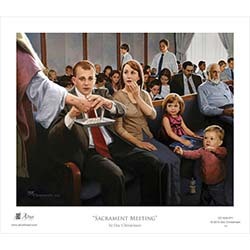 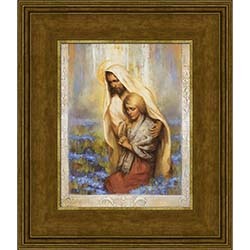 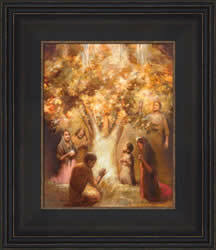 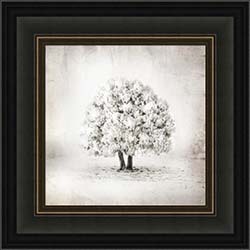 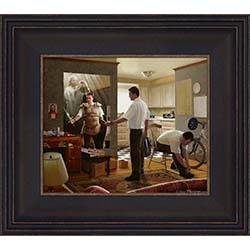 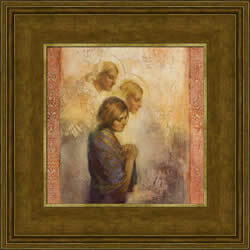 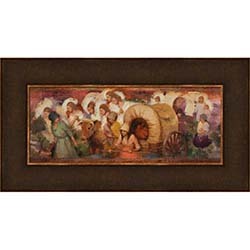 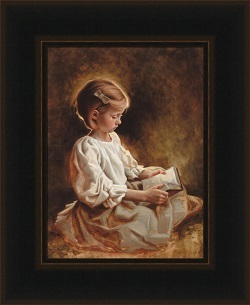 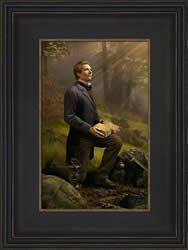 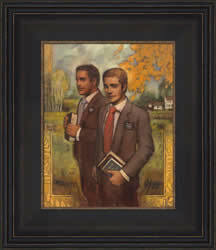 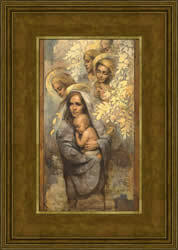 At LDS Bookstore, we strive to provide you and your family with gospel art for any room in your home or business. 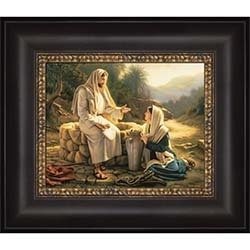 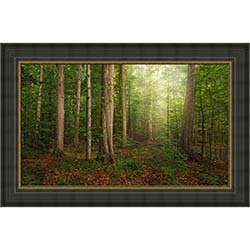 Our gospel art make great gifts for any occasion or no occasion at all and can be used to encourage missionaries, youth groups, quorums, newlyweds, parents, and more. 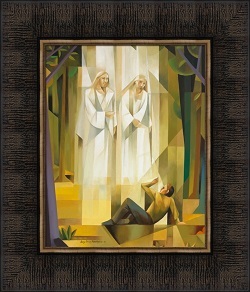 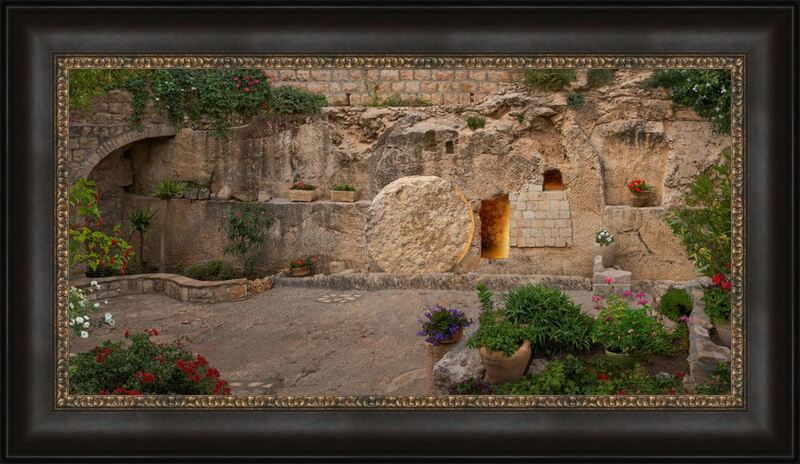 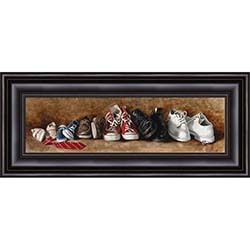 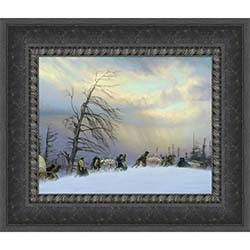 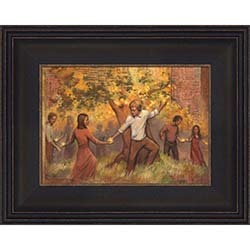 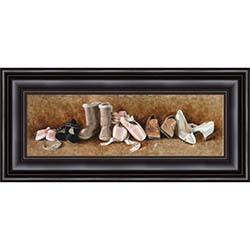 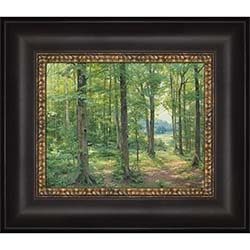 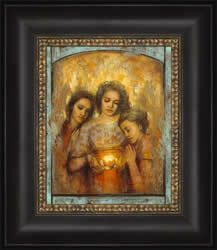 We hope you feel the Spirit as you browse our gospel art.